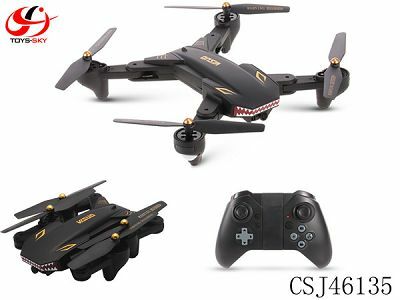 Description: Drone Battery：3.7V 1800MAH lithium battery Drone Weight:160g Charge time:1h Flying time:20 minutes Control distance: 50m Features: 1. The 2.4Ghz technology adopted for anti-interference. 2. Foldable body, easy to carry. 3. Altitude hold function, a key take off/ landing. 4. A key to return, headless mode. 5. 3 different speeds to control. 6. With WIFI480P/720P Camera, realtime transmission, take video and photo. 7. It can use the smart phone as controller. 8. The G-sensor mode enables the drone to automatically follow the way you move your smartphone. 9. Hand thrown off, 360 degree roll. 10. It can flight long time, about 20 Minutes. 11. Function: up and down, forward and backward, left sideward and right sideward, hovering slip. Packing content: RC Drone*1, Cotnroller*1, USB Cable*1, Blade*1, Screwdriver*1, Manual*1. 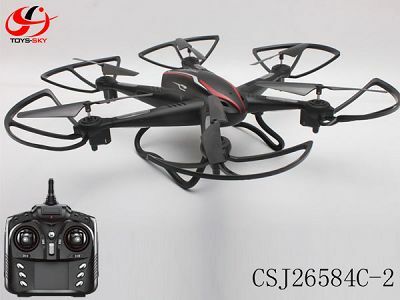 Description: Quadcopter weight	205g（include product battery） Product battery	7.4V（700mAh） Charging time	About 210-240 minutes GW	9.1kg Using time	About 7 minutes Operation distance	About 200m Transmission distance of WIFI	About 50m Standard version	1 GPS quadcopter，1 remote controller，1 USB charging cable，1 set of blades,1 APP 2MP WIFI camera,1 smartphone cradle Remote controller battery	AA“4×1.5”（Not included） NW	7.5kg Material	ABS、NYLON、ELECTRICS Features 1.With 2 MP WIFI camera,picture:1920*1080,video:1080*720. 2.With GPS auto positioning system, accurate positioning location. 3.Optional remote control and APP control, real-time video/take photo on the APP. 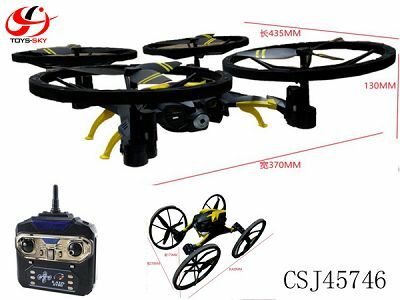 4.Latest 6-axis gyro fly control system and altitude mode make it more stable. 5.forward/backward, up/down, left/right, sideward flight. 6.With attractive headless mode, completely solving pilot loss-of-orientation problems. 7.Follow Me Mode. The UAV follows you and records every moment at a comfortable distance. 8.With Surround feature,can surround the point. 9.Flight trace. The drone will automatically fly along the path you make waypoint on the app. 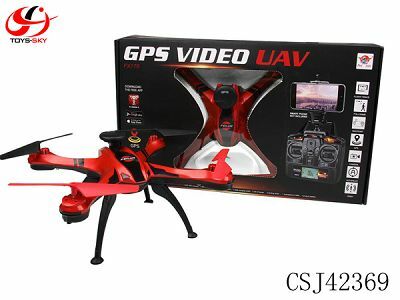 10.Automatic return, the quadcopter will return to the home point automatically when disconnected with the transmitter or low-voltage. 11.One Key Automatic Return, One Key Landing, One Key Taking Off. 12.With seize-proof function and high/low optional speed. 13.The drone battery is with over charge/over discharge/ short-circuit protection function. 14.The drone is charged by USB charging line with over charge protection. 15.With LED light for night flight. 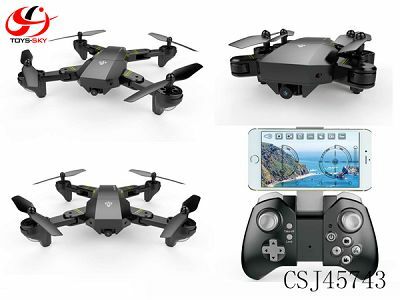 Description: Standard version	1 GPS quadcopter，1 remote controller，1 USB charging cable，1 set of blades,1 APP 1 MP WIFI camera，1 smartphone cradle	Product battery	7.4V（700mAh） Controller battery	AA“4×1.5”（Not included) Charging time	About 210-240 minutes Material	ABS、NYLON、ELECTRICS	Using time	About 7 minutes Quadcopter weight	205g（include product battery）	Operation distance	About 200m Transmission distance of WIFI	About 50m 1.With 1 MP WIFI camera,picture:960*720,video:640*480. 2.With GPS auto positioning system, accurate positioning location. 3.Optional remote control and APP control, real-time video/take photo on the APP. 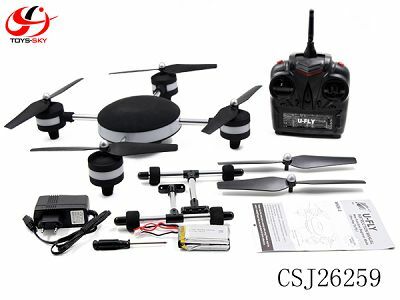 4.Latest 6-axis gyro fly control system and altitude mode make it more stable. 5.forward/backward, up/down, left/right, sideward flight. 6.With attractive headless mode, completely solving pilot loss-of-orientation problems. 7.Follow Me Mode. The UAV follows you and records every moment at a comfortable distance. 8.With Surround feature,can surround the point. 9.Flight trace. The drone will automatically fly along the path you make waypoint on the app. 10.Automatic return, the quadcopter will return to the home point automatically when disconnected with the transmitter or low-voltage. 11.One Key Automatic Return, One Key Landing, One Key Taking Off. 12.With seize-proof function and high/low optional speed. 13.The drone battery is with over charge/over discharge/ short-circuit protection function. 14.The drone is charged by USB charging line with over charge protection. 15.With LED light for night flight. 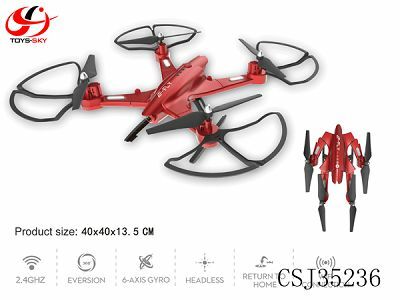 Description: Motor:132 Battery of drone:7.4V 1500MAH Li-po battery Battery of controller:4pcs AA Charge time:about 150-180mins Flying time:about 8-10 mins Control distance: about 200m Function:Headless mode,height fix,one key display.